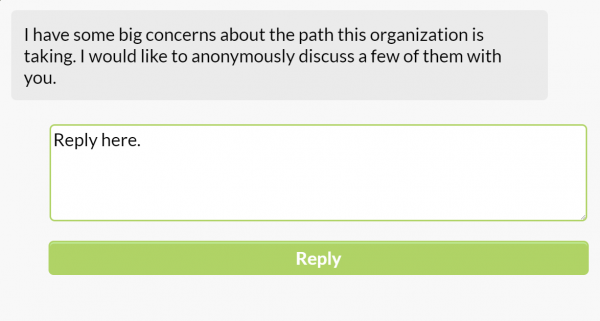 How Does Anonymous Reply Work? After submitting your email address, we encrypt and save it to our database. After they reply, Incogneato sends you an email notification with a link to view and respond back to their reply. If both of you are logged in at the same time, you can chat live and real-time. That's all there is to it. 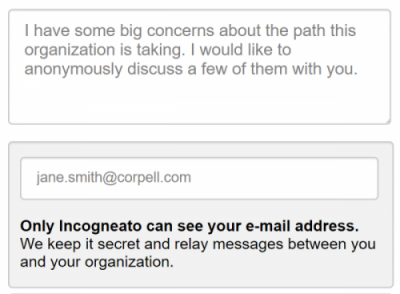 As you can see, your email address is kept secret and never shared with your organization.